Finding clothes that are work appropriate is undoubtedly more difficult than choosing a comfy t-shirt to throw on for a day spent relaxing. And, if you’re someone who’s in need of sizing options outside of your standard S-XL, it may even be more of a challenge. Fortunately, there are now many big and tall work shirts on the market today to help you tackle another day of work- whatever it may be! 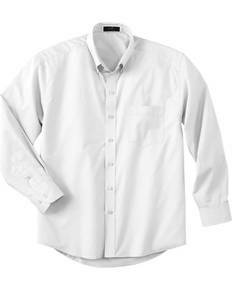 At ShirtSpace, we’re excited to offer a collection of big and tall work shirts that are suited for both a day at the office or those who work in an industrial field. 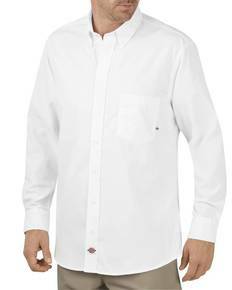 Whether you need a formal tall work shirt that’s a long sleeve button up, a heavyweight durable t-shirt for work in the field, or specific flame resistant nylon twill options- we have something for everyone! Offered in sizes ranging from L-5XL and in brands you can trust, you can count on adding a wardrobe staple that’ll withstand the wear and tear of your job and leave you looking good all the while! Offered in breathable cotton and cotton/nylon blends, you will benefit from the softness and breathability of cotton in a size that’ll fit your frame. Long gone are the worries of buying a shirt with poor construction or sizing issues! With the ease of choosing from a large selection of big and tall options, you have the peace of mind knowing that you’ll achieve comfort in whichever option you choose. As you get ready to gear up, don’t forget to register for a free online account.